Montana is a land of wide-open spaces and the state’s natural beauty leaves visitors in awe. One of the main attractions is Yellowstone National Park which attracts visitors from all over the world. 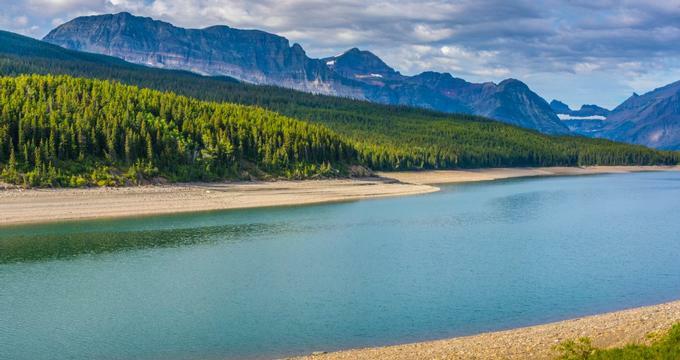 Montana offers plenty of opportunities to experience the outdoors, whether it is at one of the world-class ski resorts, Glacier National Park, and many other recreational attractions. Here are the best things to do in Montana. Big Sky Resort is a nearly 6,000-acre ski resort in the southwestern region of Montana near Bozeman. The resort is the largest ski resort in the US by area. The resort features seven terrain parks with varying levels of slopes for skiing and snowboarding. Snowshoeing is also a popular activity. Although it is a primarily a winter destination, Big Sky Resort also offers summer activities, which include ziplining, paintball, archery, mountain biking, horseback riding, and more. The full-service resort features a plethora of dining options, shopping opportunities, events, childcare, a gym and spa services. Additionally, the resort offers conference space as well as a space for hosting weddings and other events. The Grizzly and Wolf Discovery Center is a non-profit organization that educates the public about grizzly bears and gray wolves. The center is home to several ambassador animals that the public can observe and learn about. The bears and wolves that call the center home live in a naturalistic environment with waterfalls, pools, and a natural cabin where visitors can see wolves from both sides. The Discovery Center features a museum that showcases the phenomenal BEARS: Imagination and Reality exhibit, which includes exhibits on bears in art, literature and folklore with factual information from academic research. The Museum Theater shows several educational films and hosts ranger talks along with other presentations and demonstrations. The Lewis and Clark Interpretive Center is a 25,000 square foot exhibit space managed by the USDA Forest Service. The center includes a theater, an education space and a store. The museum features exhibits and interactive displays related to the westward expansion of America inclusive of the journey of Lewis and Clark. The Museum of the Rockies is a museum in Bozeman that is especially well known for its paleontological collections. The museum features the country’s largest collection of dinosaur remains, including the largest skull of a Tyrannosaurus that has ever been found. In addition to dinosaurs, you will find exhibits related to the history and culture of the Rocky Mountain region over the past 500 million years. C.M. Russell Museum Complex is an art museum in Great Falls. The main focus of the museum is the artwork of Charles Marion Russell who is known as the Cowboy Artist and was from Great Falls. In addition to his artwork, the museum features artifacts to help visitors learn about the life and work of Russell. Additional collections include Western art, as well as landscapes from the American West. The former home and log cabin studio of Russell are located on the property as well. Both the home and studio feature period furnishings, some of which came from the Russell estate. Little Bighorn Battlefield National Monument is a park that preserves the location of the Battle of the Little Bighorn, which occurred on June 25-26, 1876. The park contains two major memorials, including the Indian Memorial and the 7th Calvary Monument. Each memorial honors the lives that were lost on both respective sides of the battle. The site features a 1/4-mile walking trail called the Deep Ravine trail. Visitors can watch an orientation video as well as visit the museum and bookstore to learn more about the battle. Visitors can also take a driving tour to the Reno-Bentsen Battlefield located about five miles away. 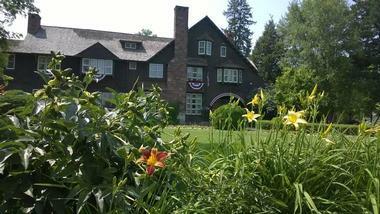 The Conrad Mansion Museum is a historic home turned museum that was built in 1895 and is now open to the public. The mansion is located on a bluff offering picturesque views of the surrounding valley and the Swan mountain range. Several acres of flowerbeds and lawn surround the establishment. Guides wearing period clothing lead visitors on tours of the large home, which has been fully restored to its original glory. One of the most impressive collections displayed in the home is the Conrad Family Firearms collection. The on-site gift shop sells antiques, nostalgic toys, books, and souvenirs related to the Conrad Mansion and the local area. The National Bison Range is a federally owned Bison preserve that was established to preserve and protect the Bison species in a naturalistic environment. The Visitor Center is the best place to begin a visit to the Bison Range. The center staff members provide information about the wildlife and flowers, which may be seen as well as any other activities. The center also includes exhibits and displays dedicated to the history and conservation of bison as well as local and Native American history. The herd includes 350-500 bison as well as other wild animals, which can best be seen by driving one of the park’s scenic driving paths in one’s personal vehicle. The park also features a few short walking trails. Montana Grizzly Encounter is a Grizzly Bear Rescue center and educational facility in Bozeman. The center provides a home for grizzlies that have been rescued as well as a place for the public to learn more about the bears and also view them in their naturalistic enclosures. The bears were born in captivity and cannot safely be released into the wild. 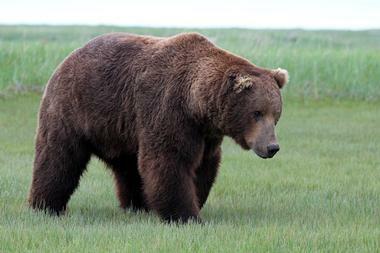 Therefore, they live in the center in a comfortable and safe environment and act as advocates for wild grizzly bears. The center’s gift shop sells Montana Grizzly Encounter and bear related merchandise and books. 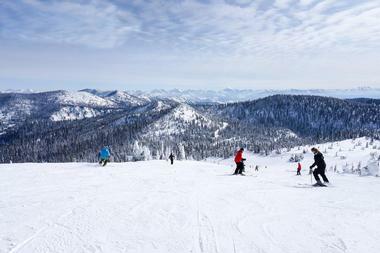 Whitefish Mountain Resort is a full service ski resort. The resort is conveniently located nearby the Glacier Park International Airport. The mountain offers plenty of opportunities for lodging including condominiums, mountain homes, and hotels. 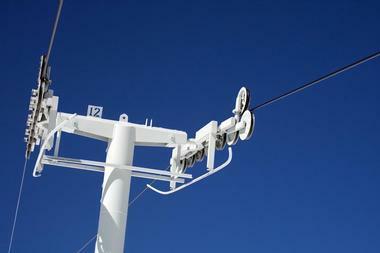 The resort includes more than 3,000 acres of ski trails, lodging, and other activities. Winter activities and attractions include learn to ski or learn to ride lessons, plenty of skiing and snowboarding trails, tours of the mountain, guided treks, dog sledding tours, backcountry skiing, and more. In the summer, the resort offers a wide range of activities, including mountain biking, hiking, and ziplining. When you have had your fill of outdoor fun, relax with a massage or spa treatment. Chico Hot Springs Resort & Day Spa is a resort located in Paradise Valley in the foothills of the Absaroka Mountain Range near Yellowstone National Park. Chico Hot Springs offer everything you need for a weekend or a day away. Several options for accommodations, world-class dining, and the ultimate menu of spa treatments make for the perfect worry-free escape. In addition, the resort offers several outdoor adventure opportunities, including dogsledding, river rafting, horseback riding, skiing, and snowshoeing. 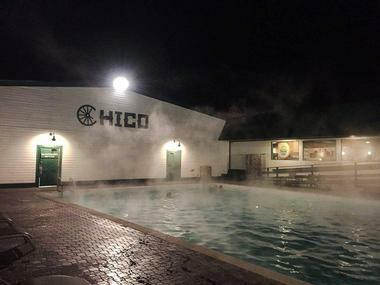 The Chico Hot Springs themselves are two open air mineral springs providing ample opportunities to swim, soak, play or simply relax. Visitors can purchase day passes to the hot springs, and daily admission is included if you are a guest of the resort. ZooMontana is a wildlife park in Billings. The 70-acre park is the only zoo and botanical park in the state of Montana. It features almost 100 animals from 58 different species that live in naturalistic habitats. 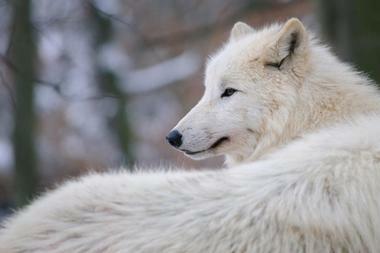 The zoo’s primary focus is on wildlife that is native to the Rocky Mountains, Montana, and Northern climates. 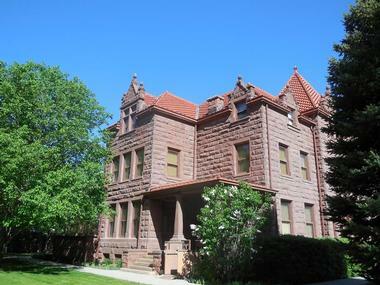 The Moss Mansion is a historic home museum located in Billings. It was built in 1903 and is listed on the National Register of Historic Places. The property has been featured in several Hollywood films set in the period. The mansion offers several tours including typically scheduled daily tours, group tours, school tours, and specialty tours and events. On a tour of the home, visitors have the opportunity to view many of the home’s original features as well as artifacts from the Moss family who lived there. The gift shop offers a selection of unique jewelry, books, souvenirs, and home decor items. The mansion website features a downloadable walking tour guide for the historic neighborhood that surrounds the property. 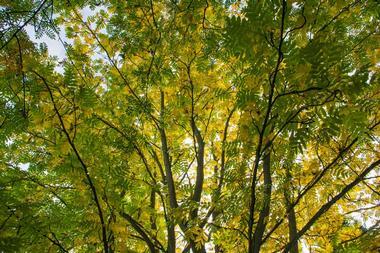 DanWalt Gardens is a collection of botanical gardens and horticultural displays in Billings. The gardens specialize in perennials, specifically those that thrive in the northern climate of Billings, Montana. Irises bloom in the early summer, and hibiscuses bloom later in the year. Additionally, many annuals and hanging baskets are incorporated into the landscape. The gardens include a reception hall with an attached kitchen that is available for rent and is a popular location for fundraisers, weddings, and other events. DanWalt Gardens features a Memorial Rose Garden where visitors can purchase a rose to be planted in memory of a deceased loved one. Tizer Botanic Gardens and Arboretum is a 6-acre botanical park with several beautiful and unique gardens. 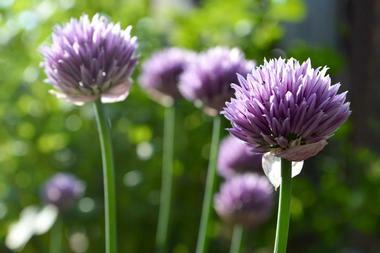 The gardens include a vegetable garden, rose garden, and an herb garden. During the spring and early summer, you can admire many wildflowers along a climb above the Children’s Garden. The Children’s Garden itself is a quirky and fun family attraction due to the upside down trees topped with blooming flowers and decorated with carved faces. A small and beautiful creek known as Prickley Pear Creek passes through the park. The gift shop has a selection of souvenirs and light snack items. The on-site nursery sells a large selection of flowers, trees, herbs, and vegetables as well as gardening supplies. Yellowstone Historic Center is a natural history museum in West Yellowstone. 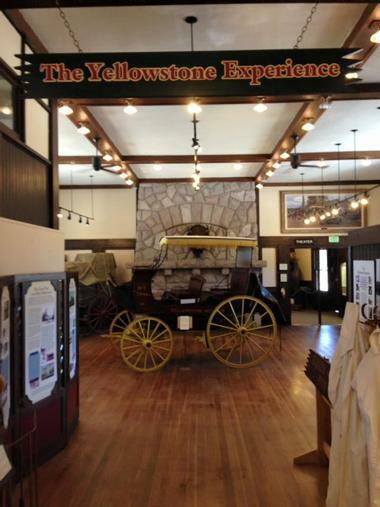 The museum’s exhibits focus on the history of travel to Yellowstone, which was the first National Park established in the world. The museum displays rare artifacts in interactive exhibits and hosts a variety of educational programs, speakers and films. Visitors can also partake in a guided walking tour of the historic area. The lobby of the center is home to a gift shop that offers a selection of Union Pacific Railroad and other train merchandise and memorabilia, clothing, DVD’s, vintage photographs and post cards, toys, books, and more. The facility can be rented for private events and celebrations. The Grant-Kohrs Ranch National Historic Site is a historic landmark dedicated to the Western cattle industry and located on a ranch dating back to 1862. The site is operated as a living history ranch with draft teams making hay as well as blacksmiths and other craftsmen providing a glimpse at ranch life in the 19th century. Tours of the historic ranch house are offered to visitors. Additionally, the property features more than seven miles of trails and roads that are available for hiking. A visitor center near the main parking lot provides introductory information as well as park pamphlets, programming and a bookstore. 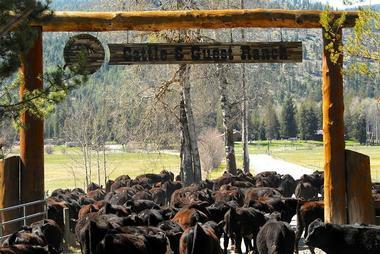 McGinnis Meadows Cattle and Guest Ranch is firstly a working cattle ranch and secondly a guest ranch located in Northwest Montana. The ranch teaches horsemanship in the Buck Brannaman style to beginners and experienced riders. Each day there is a horsemanship clinic as well as opportunities to take part in cattle working, cattle drives, and explorations of the countryside. Visitors can bring their own horse or borrow one of the resident ranch horses. In addition to horseback riding, the ranch has abundant opportunities to enjoy the outdoors. From hiking and mountain biking to fishing from a private deck, there is no chance for you to be bored. Accommodations at the ranch are rustic but cozy and comfortable and are decorated in Western style to complete the ranch experience. The American Computer and Robotics Museum is a museum dedicated to the history of computers, communications, artificial intelligence, and robotics. The museum traces the history of computing over 2000 years of history. Visitors can hear stories of the pioneers of computing and visit the many interactive exhibits, including some early computers and interactive exhibits that offer the opportunity to play early computer games such as Pong and Spacewar. The museum features the largest collection of computing history artifacts in the world, and visitors can request an opportunity to perform research in the archives. 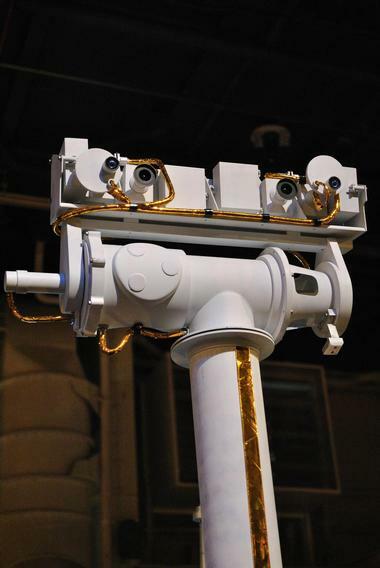 In addition to the museum in Bozeman, the American Computer & Robotics Museum website features a robust collection of online exhibits. 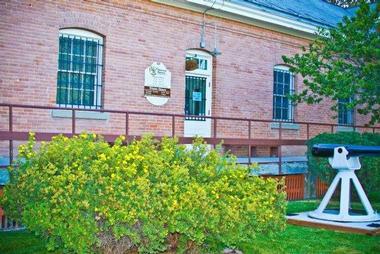 The World Museum of Mining is a museum dedicated to preserving the history of mining. It is located in an inactive silver and zinc mine known as the Orphan Girl in Butte. Some of the original structures are still visible at the mine, including the head frame and the Hoist House, which features original mining equipment as well as museum exhibits. The museum features an underground exhibit that allows visitors to experience the way miner’s lived and worked in the 1860s. 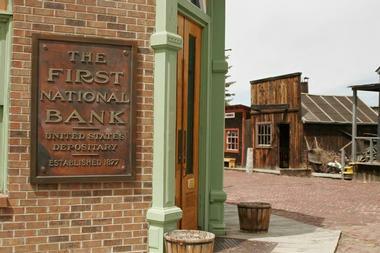 A realistic and historically accurate re-created mining town featuring fifteen historic structures and more than thirty buildings built from old materials. The Historical Museum at Fort Missoula is a history museum located on a decommissioned Army Base. The fort has an interesting history for its role in conflicts with Native Americans in early American westward expansion. It was later used as a military training facility as well as an alien detention center for the Department of Immigration and Naturalization. The museum has a collection of indoor and outdoor exhibits, which include more than a dozen historic structures that were relocated to the museum site from the surrounding area. The exhibits tell the story of the early development of Missoula County, as well as the black 25th Infantry Bicycle Corps. Several artifacts from the 25th Infantry as well as other historical artifacts are housed in the museum. Guided tours can be booked by phoning the museum. A Carousel for Missoula is a hand-carved carousel built by volunteers in Missoula. 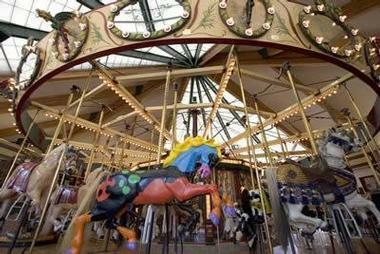 The carousel is a delightful attraction for family travelers who wish to experience a bit of nostalgia. Visitors can take a ride on one of the beautiful, handcrafted horses. Lewis & Clark Brewing Company is a brewery in Lewis & Clark County. The beer produced at this brewery is handcrafted and never pasteurized. The brewery prides itself in producing high-quality beer. The building is made up of several buildings that have been used for a variety of things throughout history. Many examples of the historic past still remain throughout the building. 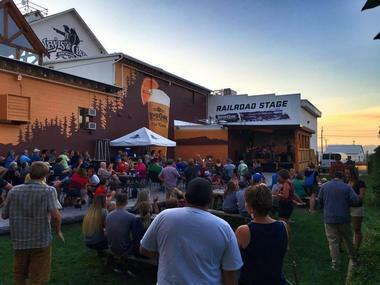 Lewis and Clark Brewing Company offers a large selection of beers on tap and often hosts live music and events. The brewery sells a variety of brewery branded apparel items, as well as other miscellaneous products and souvenirs. 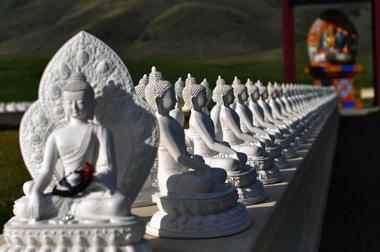 The Garden of One Thousand Buddhas is a Buddhist temple and spiritual site within the Flathead Indian Reservation near Arlee. It is open year round and includes a monument area as well as ten acres of gardens. It was built with the intention of being a pilgrimage destination for worshippers of various faiths and includes over 1000 statues. The garden is situated in a valley filled with pine groves and quotes from Buddha. The garden and monuments are designed to lead visitors to experience joy, wisdom, and compassion. 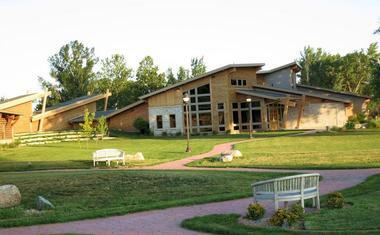 The nondenominational center is often used for ceremonial gatherings, religious events, speeches, and musical concerts. When modernist artist and painter Isabelle Johnson converted her 11,500-acre working sheep and cattle ranch in Montana near Yellowstone National Park into the Tippet Rise Art Center in 2016, her goal was “to explore connections between nature, art and music.” The center hosts an outdoor collection of massive concrete sculptures and includes two works by Alexander Calder on loan from the Hirshhorn Museum and Sculpture Garden and huge sculptures by Mark di Suvero. The art center also has indoor and outdoor musical performance spaces where it hosts classical music concerts on weekends during the summer months. The concerts are held in the Olivier Music Barn and under the Domo and are open to the public.